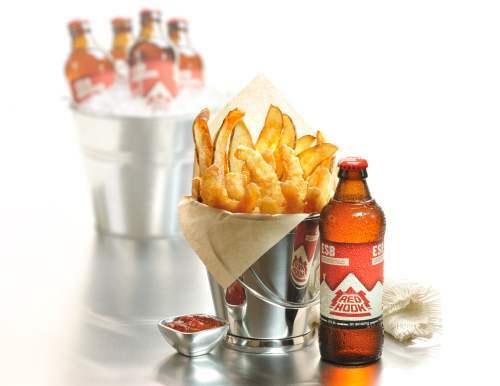 Our shrimp is battered with Redhook® Ale for a rich taste with a copper color and creates a unique beer battered experience. Serve with smashed new potatoes flavored with caramelized onions, blue cheese, and herbs, with a side of asparagus or green beans. COOKING INSTRUCTIONS FROM FROZEN: TO DEEP FRY: Preheat fryer to 350°F and fry for about 21/2 minutes. TO BAKE: Place frozen shrimp on a lightly oiled sheet pan. CONVENTIONAL OVEN: Preheat oven to 450°F and bake for about 14 minutes. For best results, flip halfway through baking. NOTE: COOK TO AN INTERNAL TEMPERATURE OF 165°F MINIMUM.